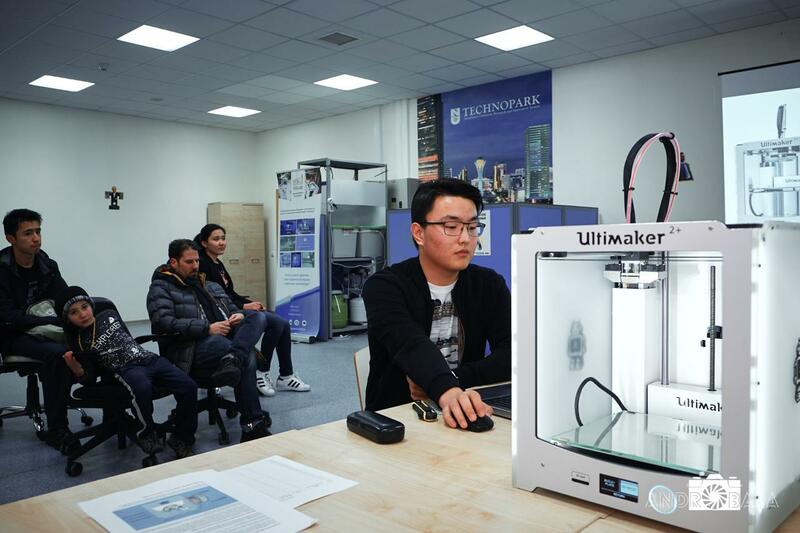 ASTANA – Nazarbayev University’s Fab Lab (fabrication laboratory), is a place where innovative solutions are nurtured with the help of engineering and fabrications tools. 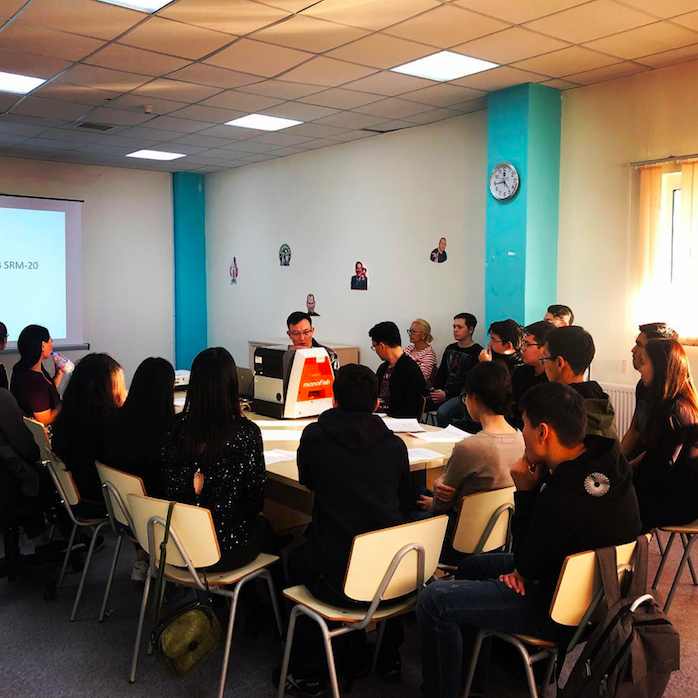 The lab, part of the Nazarbayev University Research and Innovation System cluster, is intended to contribute to the innovative and technical potential of the country, Fab Lab manager Asselya Bizhanova told The Astana Times in a recent interview. Digital fabrication allows people to produce tangible items addressing an array of day-to-day problems. Fab Lab users have access to advanced rapid-prototyping equipment, such as laser cutters, computer-controlled desktop milling machines, 3D printers and scanners, and a soldering station. 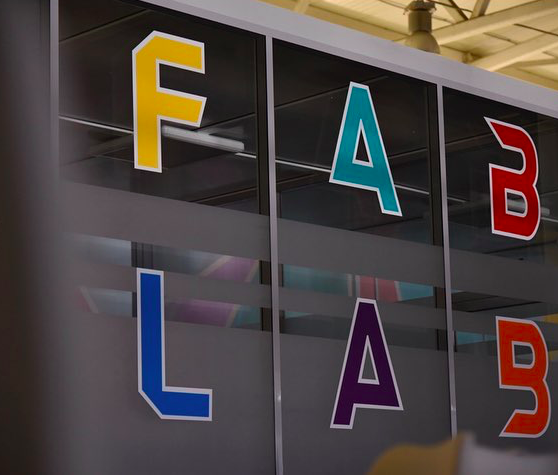 The “fab lab” concept grew from a class called “How to Make Anything”, taught by Professor Neil Gershenfeld at the Massachusetts Institute of Technology Centre for Bits and Atoms. 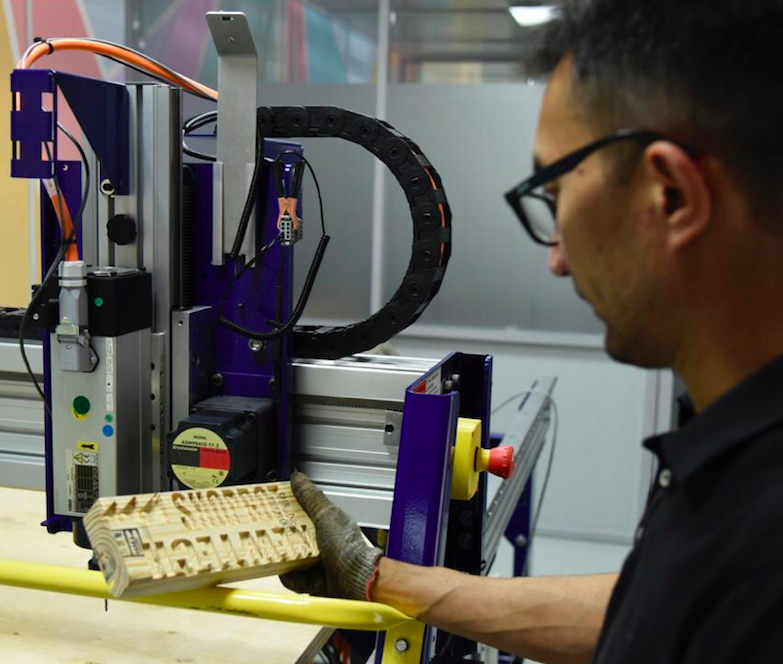 The Fab Lab at Nazarbayev University opened in July last year and is part of a global fab lab network connecting a worldwide community of innovators, researchers and makers. “In the first year we were dealing mostly with documentation and agreeing on a budget. This year, we started organising events, trainings and courses more actively. A wider public now has access to our lab – not only students but others,” said Bizhanova. The main goal of the lab is to develop engineering skills and technical potential in young people. “Because we are a relatively new department at NURIS, we are only now at the stage of finding common ground with our professors, students. We are trying to involve more of our research and academic potential,” she added. 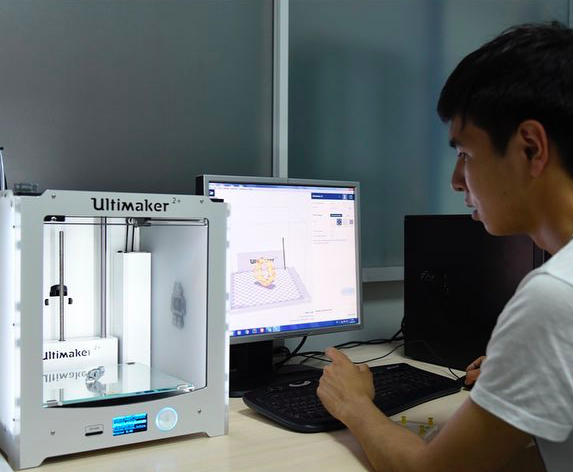 The majority of Fab Lab users are students at Nazarbayev University. Some visit the lab out of personal interest; some are assigned coursework there. “Professors send their students to implement projects in the Fab Lab. We have completed our first session, with 62 students working on 31 projects. This was part of the academic programme for first year students in the Fundamentals of Engineering course. Step by step, we are building a model of cooperation with the university,” said Bizhanova. A subscription is required to use the lab. The price for students is 2,500 tenge (US$6.81); for professors and university workers, 10,000 tenge (US$27.23); and for organisations outside the university, 12,000 tenge (US$32.67). Bizhanova noted that using the lab requires certain skills. “A person should possess at least some skills when he enters the lab. You should be able to use software programmes, for example, in 3D modelling, such as Solid Works, Fusion 360 or Core or any other,” she said. For those with no skills, but with an enthusiasm to learn, the lab conducts training courses. “We are now running a training course on Solid Works consisting of approximately nine classes lasting two hours each over three weeks. We teach in Kazakh and Russian,” she added. The lab also organises free master classes every Thursday. “We have different master classes. Some teach 3D printing. This week we had a class on the Fusion programme,” she said. One of the biggest projects run by the lab is Makeathon, an international social project that generates solutions to help people with special needs overcome their everyday challenges. “It has three stages. In the first, people with special needs and makers meet to discuss the problems people with special needs face. The second stage is a 72-hour block of work, during which makers work to develop a product to address these problems,” she said. The second stage produced five prototypes. “One of them is verticaliser for people who cannot walk. The task was to build a device that would help a person not only walk but also to conduct water procedures. For those who take care of people, it is sometimes difficult to hold them,” she said. 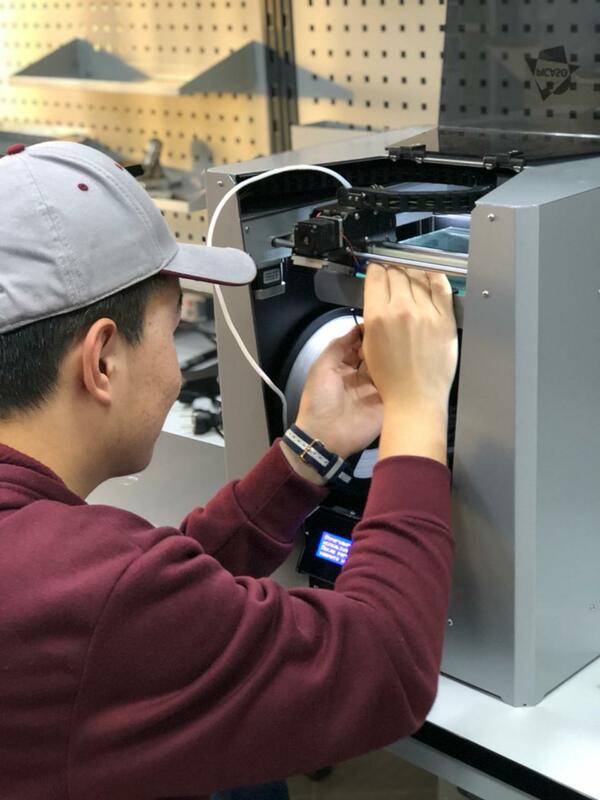 The event will display these products as well as other devices produced by lab users, including a self-made 3D printer, robots and mechanical watches. Bizhanova said the lab plans to expand its activities next year, including reaching out to school students.